For Bold Fashions and Pimpin' Prom Outfits there is absolutely no better place in the world than Dallas Vintage Shop. 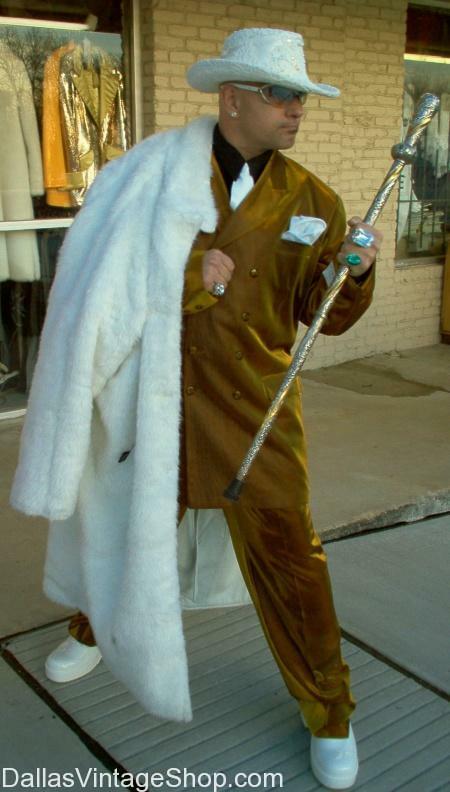 Our Mens Prom Suits are Studly, our Pimp Canes are Impressive, our Mens Hats demand Attention and our Mens Flashy Jewelry has the most Bling. Check us out. You will not believe our Mens Suits.We have stuff for Prom you've never even imagined. This entry is filed under Prom Tuxedos and Suits. You can follow any responses to this entry through the RSS 2.0 feed. Both comments and pings are currently closed.